If you've ever taken your flute in for adjustment because of the mechanism not feeling resistant or just not "quite right," you may have been told that the keys were "binding." What exactly does that mean? Well, in simple terms, it means that something is preventing the keys from moving freely. Binding happens when things are interfering with each other that should normally not be in contact. 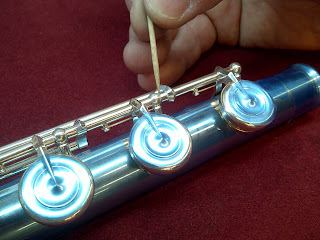 Often times, two pieces of metal are rubbing against each other, which would cause the key mechanism to bind. 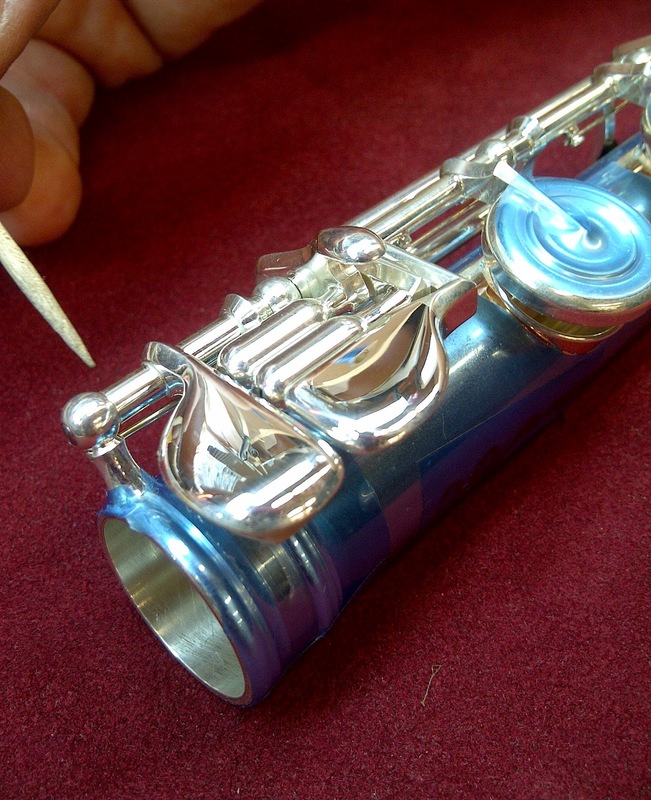 This could happen if the posts are misaligned or if the steel inside the mech tube is somehow bent. Posts and other parts of the mechanisms where pieces of metal come together are areas that are susceptible to problems that could cause key binding. The photos below identify a few of these areas on the footjoint. Another culprit of binding keys is simply dirt, grime, or corrosion. 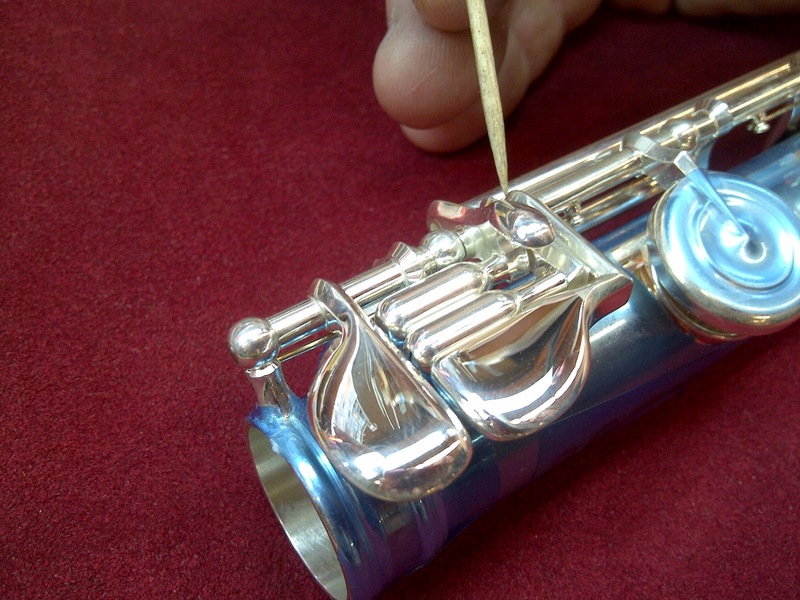 Key mechanisms need to be cleaned out properly, so make sure to take your flute to a qualified repair technician for regular maintenance. 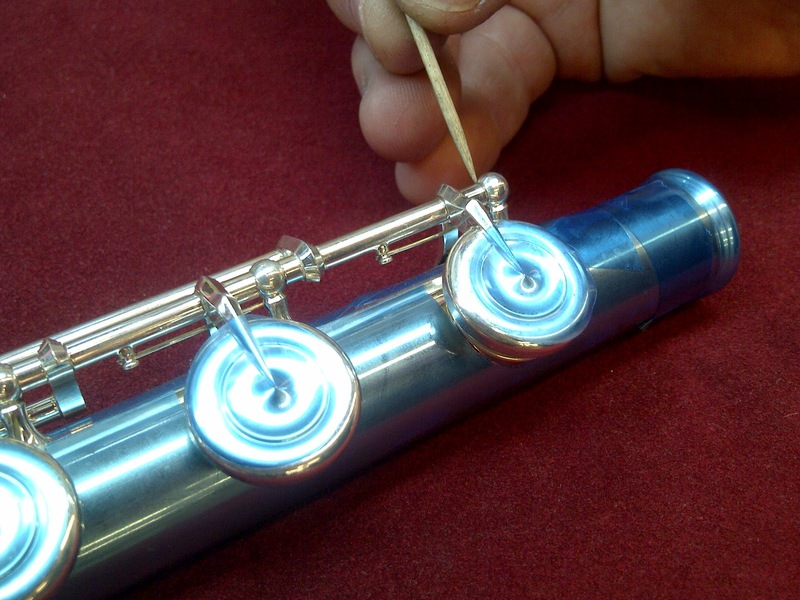 You and your flute will be happy you did!